“So aren’t you really saying that we should settle for mediocre?” asked a young woman at a recent talk I gave about my new book, Good Enough Is the New Perfect. Despite the book’s intentionally controversial title, my coauthor and I make clear from the start that we are not fans of a “whatever” approach to work and life — quite the opposite! Our research showed that it was impossible to be all things to all people, and that prioritizing was a key to success. That being said, many of the women we interviewed seemed terrified to shoot for less than “the best” in any area of their lives — and that attitude posed a huge roadblock to balance, happiness, and peace of mind. In fact, when we surveyed more than 900 American mothers, we learned that their own attitudes were holding them back more than any other factor — including financial pressures, spouses who didn’t contribute enough at home, and even inflexible employers. I’ve repeated that finding many times, but have recently begun probing deeper to understand why unrelenting perfectionism has become such an obstacle for the parents of our generation. And the image of a bully popped into my mind. It’s as if there’s a nasty junior high kid tapping us on the shoulder, taunting us about how we fail to measure up. What these moms didn’t seem to get is that our kids don’t need us to be perfect; they really just need us to be present. The stakes seem so high as a parent — no one wants to screw this one up! But I’m here to tell you that the bully in your head is offering an idealized composite for you to compete with — there aren’t too many “real” people who can pull off perfect in every aspect of life. We all make sacrifices — time, money, organic vegetables, hobbies, you name it. And that’s okay, as long as fear of the bully isn’t driving that decision-making. Professor Brene Brown, author of The Gifts of Imperfection, has made a career of studying perfectionism. In her book, she distinguishes healthy motivation and goal-setting from their darker incarnations. Too many of today’s parents are so worried about what the bully might think that they’re missing the joy of today. But just as we tell our kids, bullies lose their power when confronted. So as you march into 2012, tell that voice in your head that it’s okay not to be perfect at everything. Good enough really can be good enough! 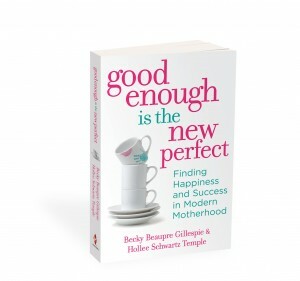 Hollee Schwartz Temple, a law professor at West Virginia University, is the coauthor of Good Enough Is the New Perfect: Finding Happiness and Success in Modern Motherhood (Harlequin Nonfiction). 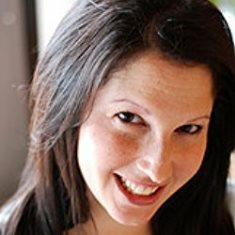 She blogs about work/life balance at http://thenewperfect.com.